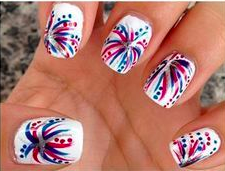 The 4th of July is the perfect time to really show your art skills on your nails. 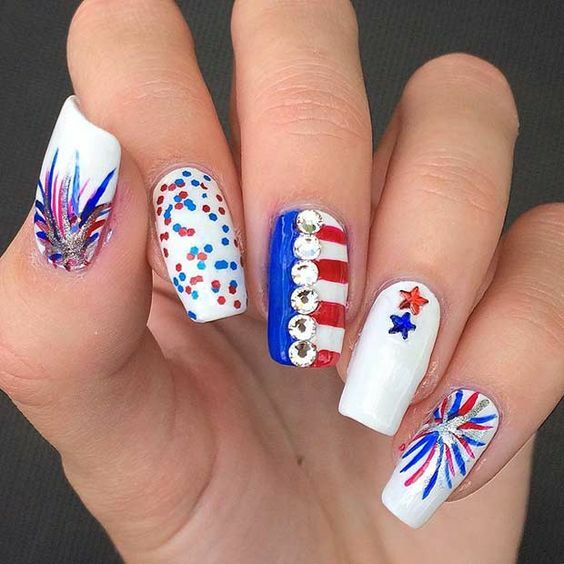 There are so many different combinations of the colors red, white and blue—these are just a few of our favorite patriotic nail art ideas for July 4th. 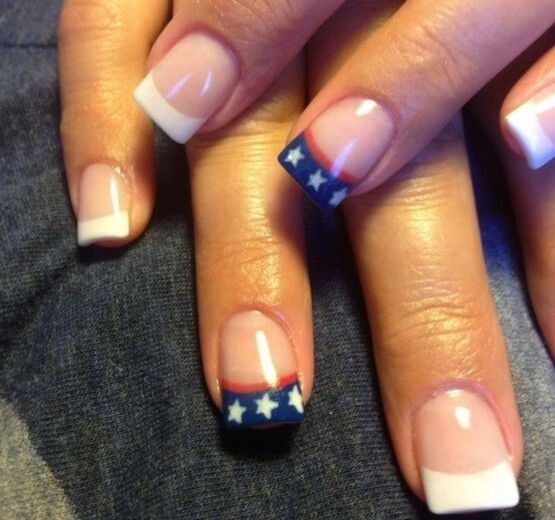 Let these gorgeous patriotic nail art designs inspire you to create your own nail design—or copy these! 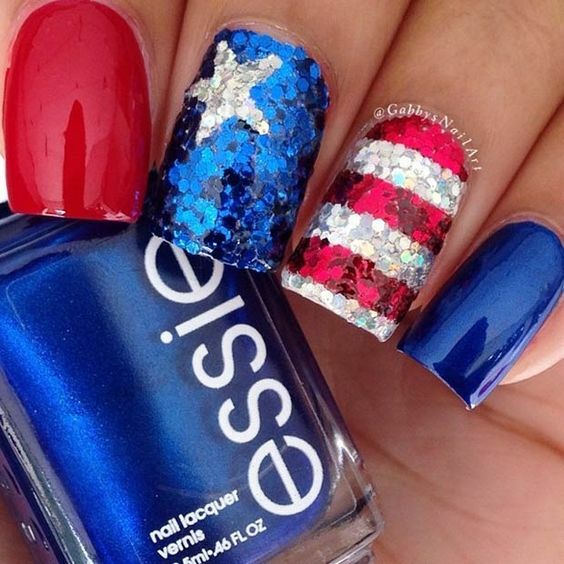 Here are our favorite patriotic nail art ideas for July 4th. 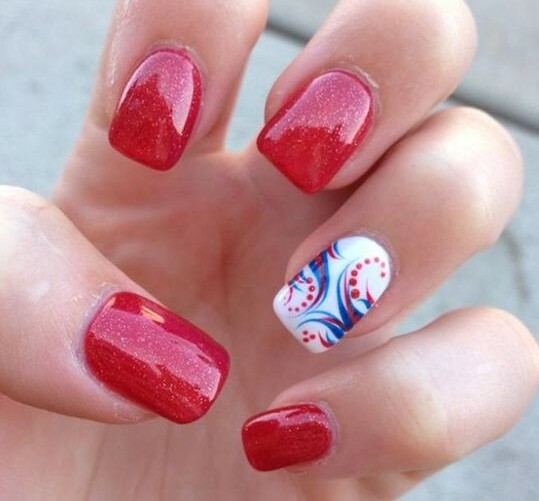 With a base of white, your nails will be super bright and festive. Use a small nail tool to create the streaks starting at the tip of your nail. One of the more simple designs. 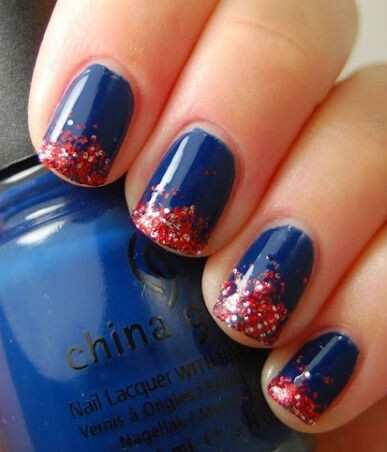 Paint all of your nails red (except the ring finger) and then paint the ring finger navy blue. 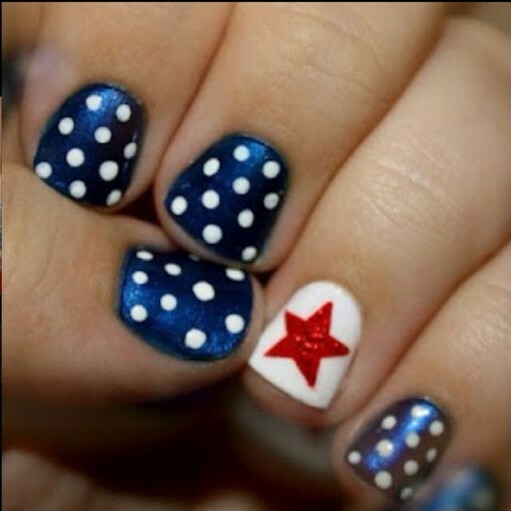 Either use a stencil or free hand to create the star! 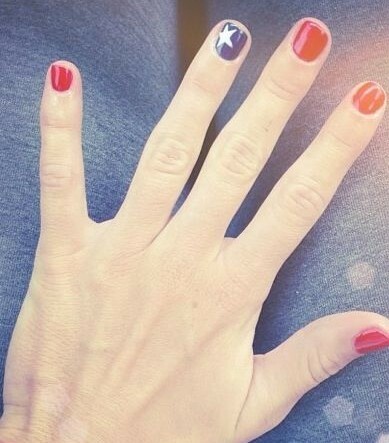 A french manicure looks good on everyone. 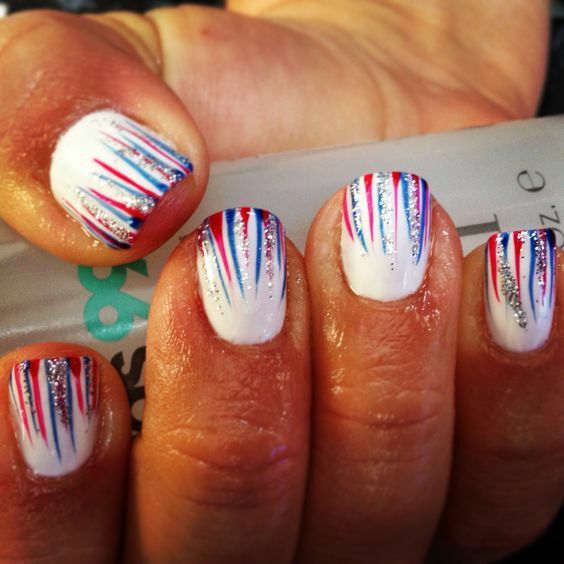 Adding the pop of our American flag makes this look appropriate for the holiday! Don’t forget about your toes! 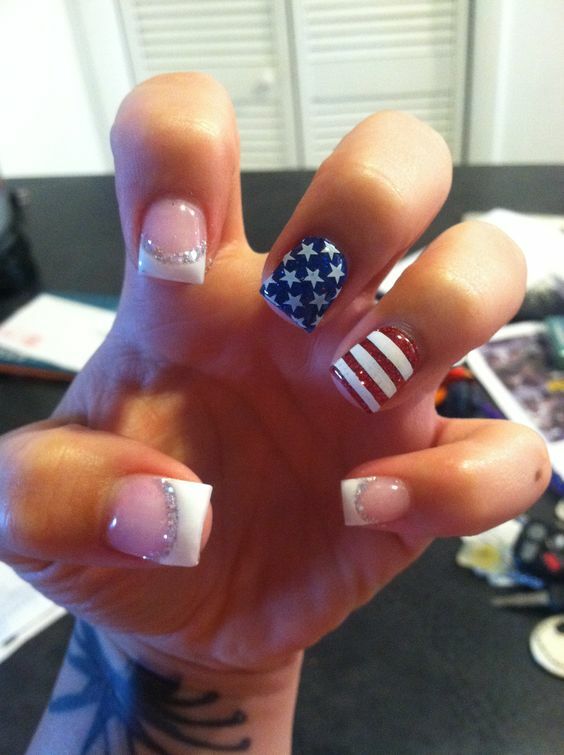 Make them look like a real American flag like this, or switch up the big toe to stripes instead of stars. Fireworks are obviously the best part about the 4th of July. Create these with a toothpick or a small nail tool to wow everyone. Glitter goes well with everything. Add as little or as much as you’d like! You don’t have to stick with glitter for this one. Fading any color or glitter out from the tip makes your nails look longer, and cute, obviously. A twist on the classic french—add a flag. Get creative with the designs! You don’t always have to create a flag or fireworks. 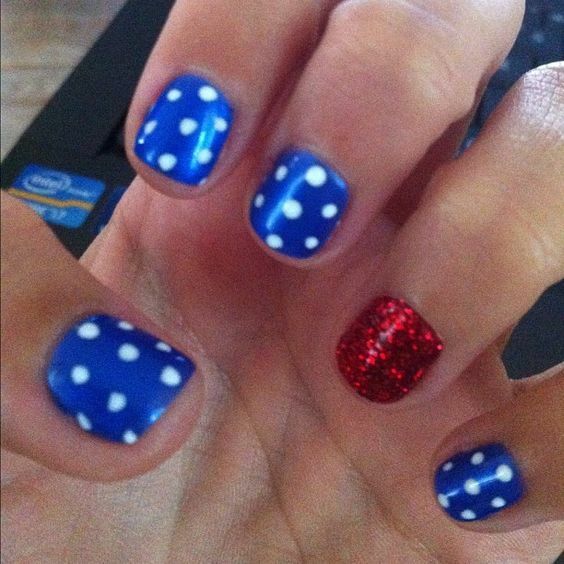 Just using the red, white and blue colors will get the point across that you’re feeling patriotic. Instead of the usual red, use mostly blue. This will contrast well against a red or white dress. Try everything. 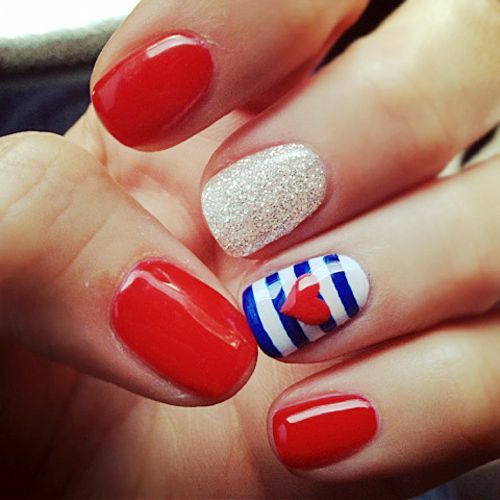 Paint each nail with a different design for a crazy cute look. 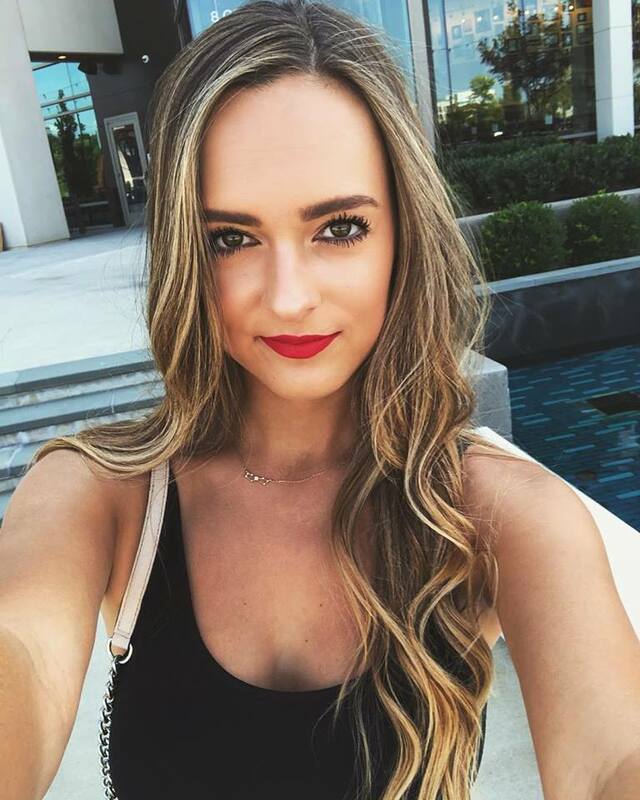 Just want to keep it simple? 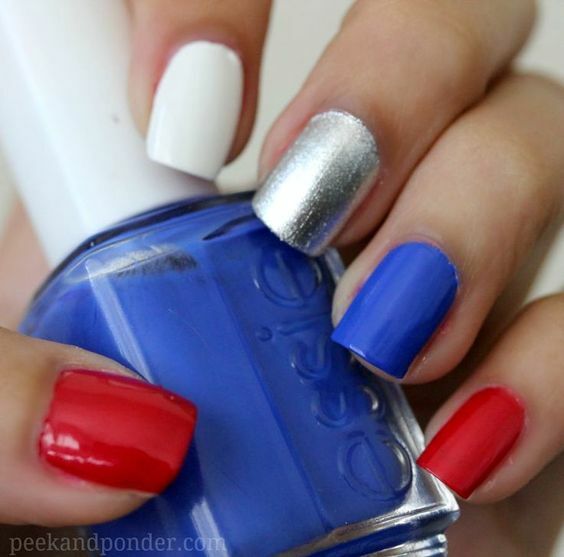 Red, white and blue with a pop of silver will never look bad on the 4th. Polka dots will amp up the cuteness. Added bonus: glitter! The nautical theme goes extremely well with the 4th. Those white and blue stripes along with red scream patriotic. 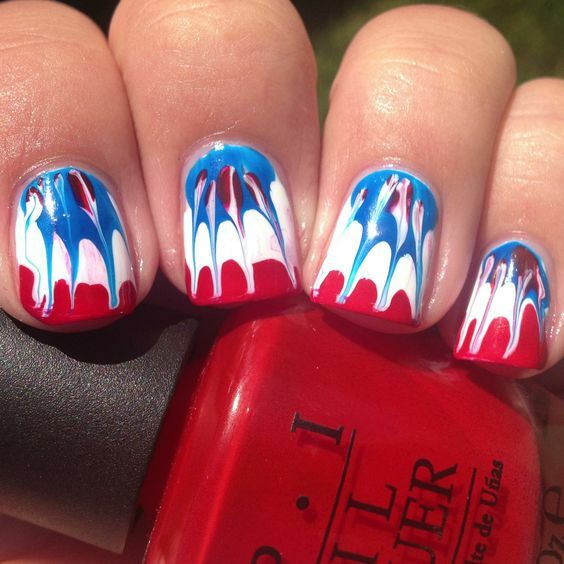 Use a toothpick to drag through wet layers of red, white and blue to create this fun tie dye look.